Have Your Own Online Business On Any Topic, With Any Template You Want. Income Activator is the only website platform focused on creating wealth online. It comes with a store, PPC, lead & referral software. Your site comes with a Store, Pay-Per-Click & Leads software, where you can track your referrals to companies you recommend, and charge for it. Your starter website is read-to-go, with forms, auto-responders, and email marketing. You can customize your website yourself, or hire one of our approved webmasters to help you out. Here's how easy it is to add your own Content, Pictures, Videos, and Links. This website is perfect if you enjoy adding content to social media sites like Facebook. Right now, social media sites are making money from your content by placing their ads around it. This is money you should be making, and this social media website allows you to do just that by simply adding your own content, and adding your own company pay models, and affiliate products. The more pages of content you create, the more visitors you'll get to your website, and the more money you'll make by monetizing your pages. You don't need to do anything different from what you're doing right now! Your Opinion Has A Market Value By providing good information and advice, you can be considered an online authority in any industry, on any topic. You can make money from the knowledge or experience you have right now and use this to create content for your website. Your Opinion Has A Market Value This website is perfect for business professionals and anyone that works in the media. The Media You can provide the people who follow you a place to keep in touch, and message them individually, or as a group. 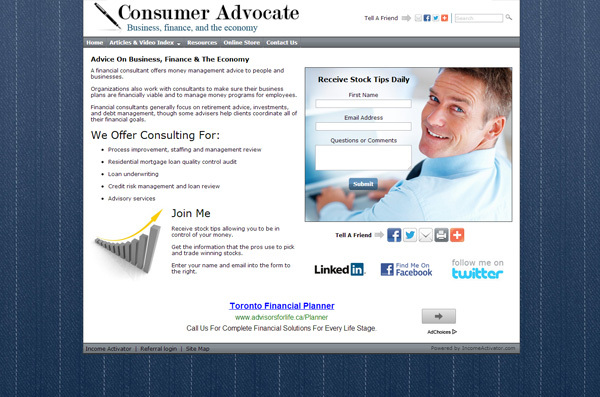 View CTV's Pat Foran's Consumer Advocate website. 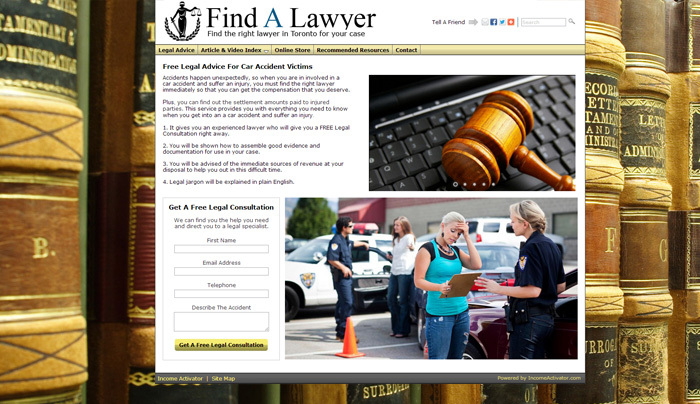 View Toronto Star's Ellen Roseman Consumer Advocate website. 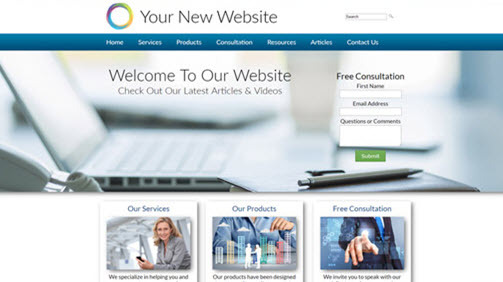 The Business Professional Your website gives you complete control over your online business. You no longer have to be at the mercy of webmasters. You can make changes to your website at anytime from anywhere, even if you're a one finger typist, and not at all computer savvy. 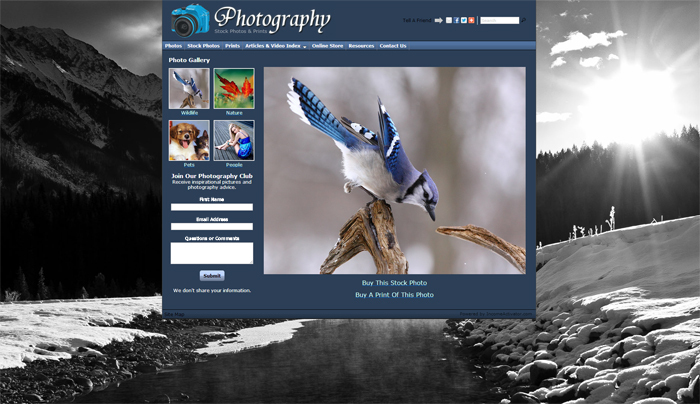 This website is perfect for casual and professional photographers or artists. You can make money by putting your art or photos online to sell as either stock photos, prints or originals. The photos you take with your phone or post to Instagram can be exactly what someone needs for their website, brochure, or magazine and you can generate an income from this. The more photos you upload to your website, the more visitors you'll get, and the more money you can make. Original pictures are also an excellent way of attracting visitors to your website through Search Engine Optimization (SEO). You can describe your pictures to the search engines so they can show them to people doing online searches. Let The World Know Who The Best Of The Best Are! This website is perfect for anyone that wants to send leads to businesses they recommend. This website can be customized to send leads to accountants, dentists, plastic surgeons, therapists, law firms (like the example shown), or any business that advertises. Here's an example of a website sending leads to niche market of law (medical malpractice). Businesses like these can pay up to $50 a lead. Your website program allows you to set your own referral rates, tracks the leads, and generates invoices to bill your advertisers. A lead is generated when a visitor enters in their contact information into a referral form to get the company's contact information. Visitors are very willing to give their contact information to be referred to a reputable business. Give People Your List Of The Best! This Directory Referral Website allows you to send leads to several advertisers at once, where all pay you for the same lead. This is one of the most profitable kinds of websites, where one visitor leads can be worth up to $100. 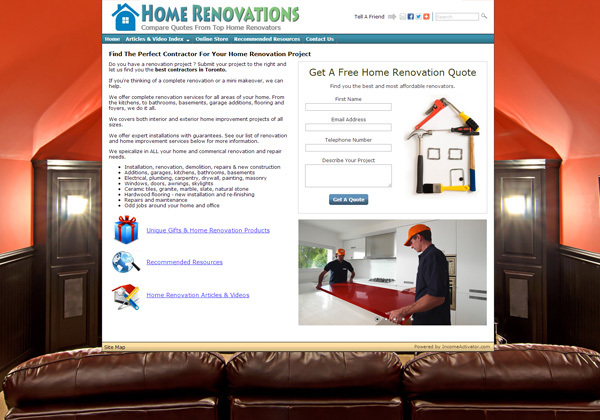 In this home renovation website, a visitor is looking for quotes on a project. When the visitor enters in the job they want quoted, they are shown, and emailed a list 5 renovation companies. Each company pays the website owner a fee to bid on the job. You can set your own rates and your website program tracks and creates the invoices. This works for any industry that bids for business, such as contractors, graphic designers, rental companies, photographers, interior designers, and so forth. 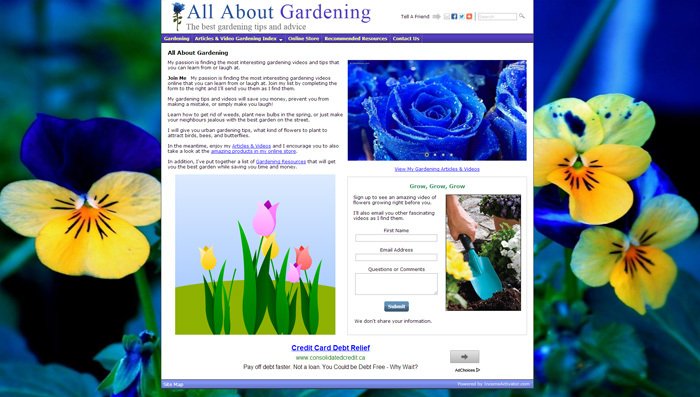 Here's an example of a painting website that sends leads to painting companies. Here there are 10 advertisers each paying $10 to quote for the job. 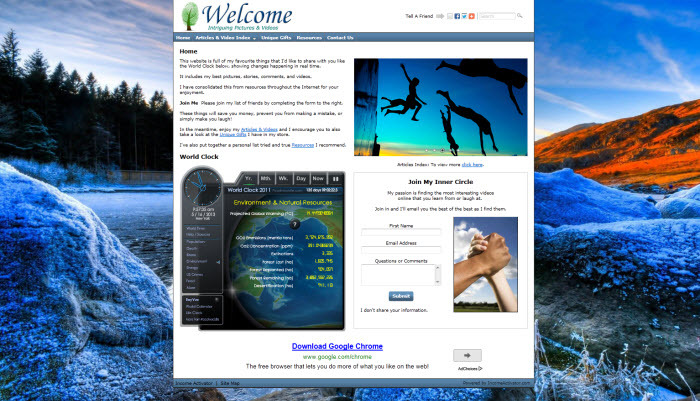 In this example, the website owner would make $100 per visitor referral. An online store website is perfect if you have products or services to sell as well as for listing affiliate products for sale. You can even create your own eBook through Income Activator's eBook templates, or by using a company like Cafepress and put your own graphics on their products. 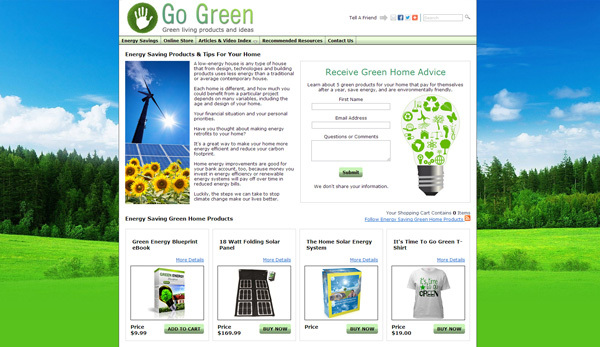 You can add unlimited product categories and products and list them on any page of your website. You can offer your customers up to 4 different payment options; credit cards, PayPal, credit cards over the phone, and cheques. Your store also tracks orders, calculates taxes and shipping, creates invoices, and has it's own affiliate program. A real estate website you control allows you to be the first to list a new property that has just come up for sale in the market. 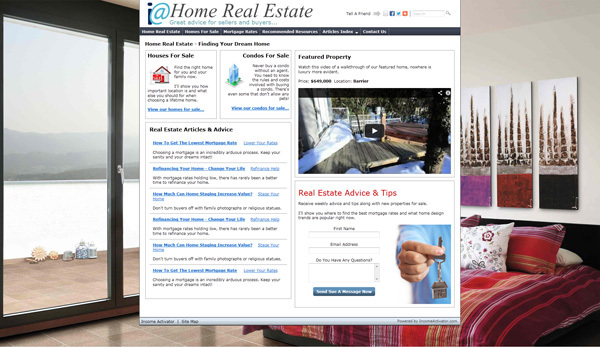 This website is perfect for real estate agents or if you want to send leads to companies in the real estate field. Income Activator allows you to describe your listings to the search engines such as Google, Yahoo and Bing in a way so that people would find it when they search for it online. You can also embed live real estate feeds instantly. This includes all social media feeds like Facebook, Twitter and LinkedIn.